This is a large event benefitting two wonderful charities - last year we had 27 players from 3 states - ALL skill levels welcome: A, B, and C divisions - lots of IFPA points available here too as there will be a concurrent D/FW pinball league event (since we have 19 pins on site). Doors open at 1 PM and first flip is scheduled for 1:30 PM (or as soon after registration is complete as possible). Trophies for top 3 in ALL divisions. Division size will depend on number of players. For example, if we have 32 players: A division will be top 8 qualifiers, B division will be qualifiers 9-16, and C division will be 17-32. 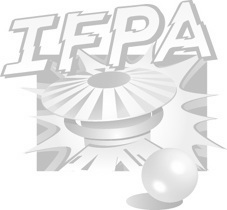 A division playoffs would be the "official" playoffs for the IFPA event. B and C division are playing for trophies. These are NICE trophies - last year the winner was so excited about his trophy he forgot to collect his winning (I gave the winnings to him next time I saw him). This will be a group match play tournament - IFPA format scoring 7-5-3-1. 3 rounds of 2 games per round for 12 TGP. Further example/interpretation of this, as needed, will be provided by Louis Marx or Marcus Trevino as tournament directors at the event. So TGP will be maxed out for maximum points! Every year we have done this tournament it has grown. Last year we had 27 players. This year we expect 32 or more and can handle up to 64 players. NO pre-registration needed.